Why Is Conserving Energy Important? Do you ever wonder, "Why is conserving energy important?" 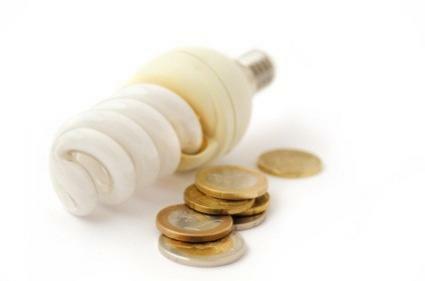 There are many reasons why you should be concerned about conserving energy whenever possible. Learn more about the short and long term importance of keeping energy usage under control. Few people consider where electricity comes from when they flip on a light or push the start button on a computer. Almost everyone in America has grown up in homes that were powered by electricity. This makes it very easy to take energy for granted, without realizing the cost to both the environment and to your bank account. The truth is that all energy produced and used has an impact on the environment. Even energy from completely natural sources impacts the earth. For example, even the energy from a lightning strike of a tree often results in the tree being burned. How detrimental that impact is will be determined by the type of energy and the amount used. Why Is Conserving Energy Important to You? There are two main reasons why conserving energy is important on a global level and each can impact your life dramatically. Many types of energy use fossil fuels in some way. Fossil fuels are a nonrenewable resource, meaning that at some point the very last chunk of coal will be dug from the earth and the last drop of oil will be pumped from the Earth. When this happens, fossil fuel won't be available anymore since mankind can't create these resources. Most vehicles run on gasoline, which is made from a fossil fuel. Once there are no more fossil fuels then the gas powered vehicles won't work. Commerce would grind to a stop with no way to deliver produce and manufactured goods. The many other types of energy that depend on fossil fuels would no longer work. Homes and businesses would not be heated or in some cases have no electricity. The entire world could come to a standstill, unable to go about normal business. Conserving energy gives researchers more time to come up with solutions and alternatives. Although fossil fuels will eventually be depleted, by being careful not to use energy unwisely fossil resources may last long enough for practical solutions to be found. Fossil fuels are also expensive to mine. This expense doesn't just affect the business paying the bill; it's passed on the consumers as higher prices for goods and services. By being conservative in the use of energy, these costs can be reduced to give consumers more money in their pockets. In turn, this can strengthen the economy since people will have more disposable income when they spend less on energy needs. The other reason for conserving energy is the health and well-being of every life form on the entire planet. Using fossil fuels and some other energy forms typically pollute the environment in a number of ways. The air is polluted when fossil fuels like coal are burned and released into it. Nuclear energy is clean and does not pollute the air but it does create nuclear waste, which is dangerous and must be disposed of. Currently, this waste is buried in nuclear water dumps, both above and below ground. In addition, the water used to cool the reactors is recycled into lakes and rivers usually 25 degrees warmer than when it was taken from the lake or river. The impact on marine life is harmful. Solar power is a clean energy source, and a renewable one, but the production of the solar panels usually creates pollutants and waste products during the manufacturing process. When water is polluted during the process of creating energy, it can change the eco-system by killing off many different types of wildlife and plants. For example, marine life can be killed when a nuclear plant intakes water from lakes or rivers. The soil is polluted when pollutants in the air mix with rain and form acid rain. Every type of pollution can potentially compromise the human body and create health problems. These issues are especially dangerous for people with compromised immune systems, babies and the elderly. High energy needs keep a country dependent on foreign governments to supply oil since the majority of the world's countries do not produce enough oil for themselves. Why is conserving energy important? As you can see there are many reasons that conservation is important, ranging from the environment to the economy. The world's dependence on fossil fuels is creating a problem that will affect generations to come. It is important that energy not only be conserved, but also that research continues to find cleaner and better solutions for future generations.